Have fun brushing your teeth! Build the clean and healthy habit of brushing and flossing your teeth everyday while earning points with the fun animated Toothbrush Buddies! • Fully animated Toothbrush Buddies sing and dance for two minutes while you brush your teeth. • Points are used to unlock more Toothbrush Buddies. • Brush your teeth! Earn points! 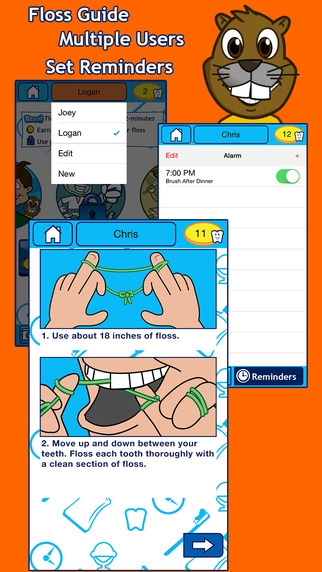 • Use our floss guide to floss your teeth and earn more points. • See your points and track your progress in the Calendar tool. 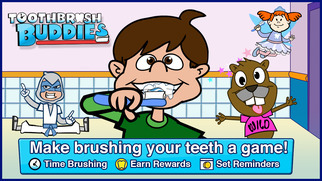 • Unlockable Toothbrush Buddies include: Beavers, a toothbrushing Ninja and the Tooth Fairy! • Features great original music. • Set your own reminders to brush every day. 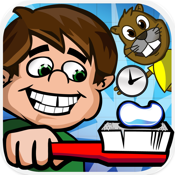 • Create Multiple Users so the whole family can get in on the brushing fun. 1) Use the Brush Timer in the morning, before 12:00 noon. 2) Floss your teeth using our floss guide. 3) Use the brush timer again in the afternoon or night time.